Have you seen this Curvee eyeliner from Elianto before ? I was pretty curious when I first saw them and asked why is it shape like that and not the normal pencil type. Well I was told Curvee is an innovative product from Germany and that Elianto has collaborated with Schwan-Stabilo Cosmetics to come up with this uniquely ergonomic designed shape to ensures a solid grip for precise eye liner applications regardless of whether one is left or right handed. Some may asked what is ergonomic shape, it simpy means the products that are specially designed for easier or more comfortable for a human to use. I read that Curvee eyeliner claims that it can last all day (14 hours or more) and I shall do 2 tests to see if it really true. Besides that I also like the cap removal system which is twist off type as it secures closing of cap. 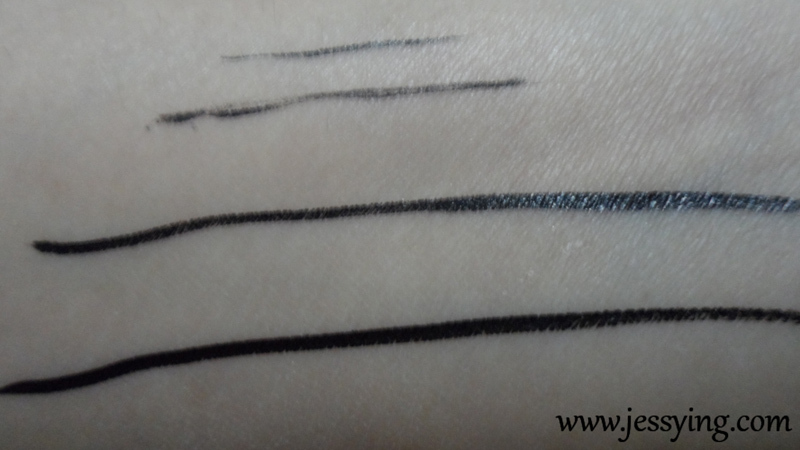 The swatch of Elianto Curvee eyeliner. The brush is fine and I could draw very fine line and it dries up really fast. 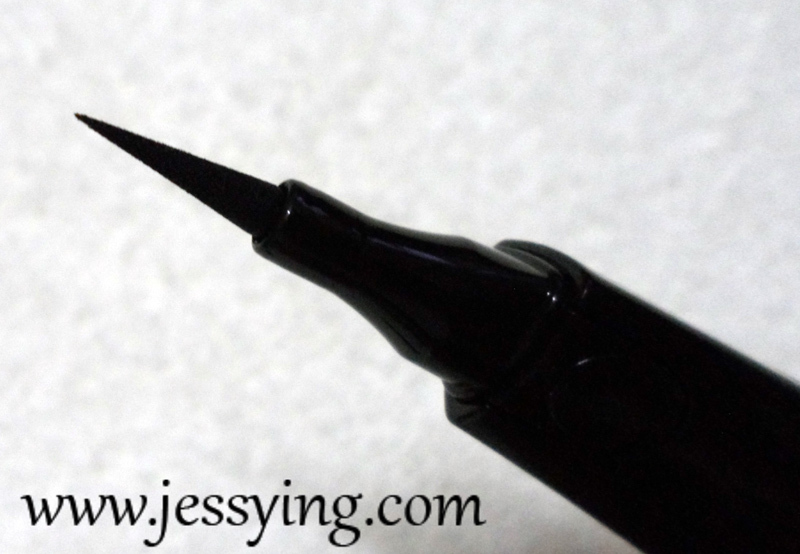 I also found out that this Elianto Curvee eyeliner is free of volatiles, parabens and formaldehyde releasing compounds. 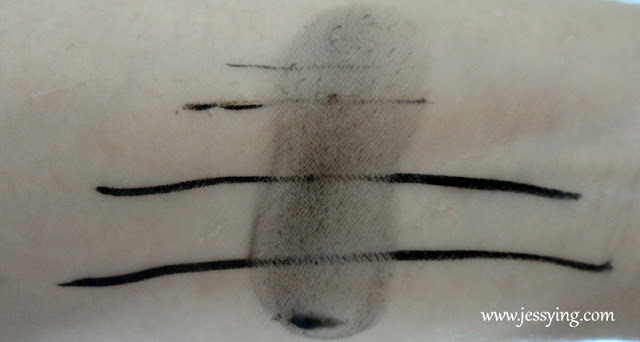 So now I got to go make 2 very important test , i.e whether is it waterproof and smudge proof like how it claims to be. It stays pretty well despite me putting it under running water tap. So it pass my waterproof test! No problem going under the rain! It is quite disappointing that it smudge so easily after I rub it lightly. How I wish its smudge proof because I always rub my eyes and this would definitely would be my problem. Create this look at the launch within 5 mins for a small contest between bloggers and won a prize, yay! Overall, I quite like the shape of the Elianto Curvee eyeliner ergonomic shape because I could grip it around my finger compare to our usual pencil eyeliner which usually we hold it with our first 3 fingers. Like it how I could grip and draw the eyeline line precisely like how I wanted. I found that it was easy for me to draw my left eyes while I hold the Curvee eyeliner on my right hand. But when I am trying to draw my right eyes, I have a little trouble of drawing it smoothly. I guess need to get used to it! 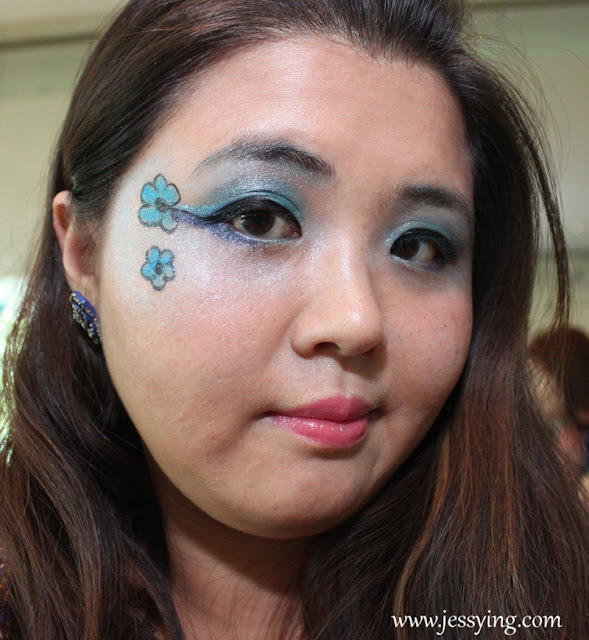 No doubt Elianto Curvee eyeliner can gives really fine lines and stay waterproof under running water. but the down side is that it that it is not smudge proof or else I would really like it. Elianto Curvee eyeliner is sold at RM33 and refill at RM27 at all Elianto store. yay very attention catching eyeliner shape! How much is this selling for ya?? its stated clearly above it is sold at RM33 and refill at RM27 at all Elianto store. Bleh at the smudge test..